Fresh lemons always remind me of carefree summer days, sunshine and sidewalk lemonade stands. 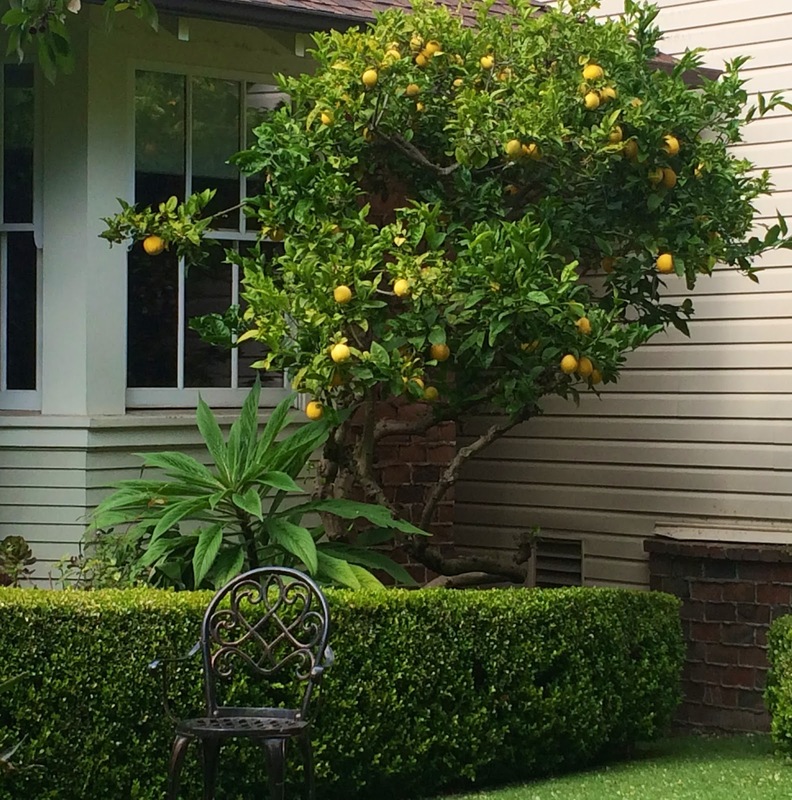 In the small backyard of my childhood home, we had a super-productive lemon tree that generously provided flavorful fruit. Sadly most of the lemons went unused because I didn't yet know how to make desserts like Lemon Meringue Pie, Tarte aux Citron and Lemon Sorbet. Nowadays I'm always on the lookout for sweet and savory dishes that call for citrus fruit. 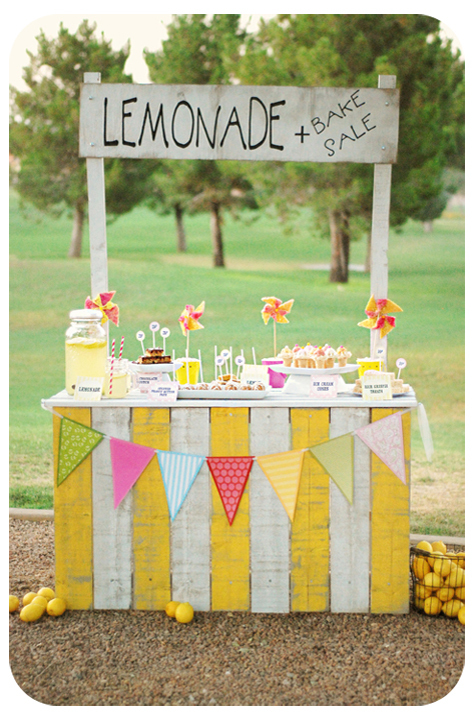 In balmy weather, nothing is more appealing than a chilled glass of lemonade. Lemons also make the most refreshing of desserts—light, icy sorbet. This recipe for Rosemary-Lemon sorbet reminds me of vacations in Italy, where locally grown lemons are used to make granita (flavored ice) during the warmest months, June through September. In Rome, Naples and on the Amalfi Coast, lemon granita is the thing to cool off on a hot day. In Sicily, citrus granita is traditionally enjoyed for breakfast! Lemon sorbet is popular in France as well, and sometimes is served in between courses. 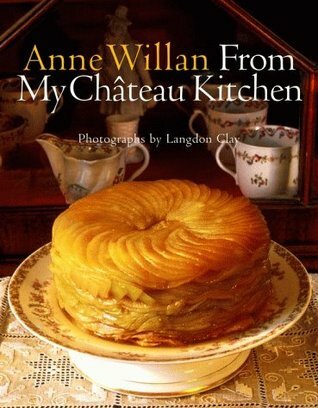 From My Château Kitchen is a wonderful classic French cookbook. I found this Rosemary-Lemon Sorbet recipe in the classic French cookbook, From My Château Kitchen written by Anne Willan, the founder of the Ecole de Cuisine La Varenne. Lemon and rosemary is an unusual combination of flavors that is so revitalizing and surprisingly delicious. Only a few ingredients are required to make this elegant dessert. Fresh rosemary, lemon juice and lemon zest give this sorbet amazing flavor! 1.) Using a rolling pin, pound the rosemary sprigs. This helps to release their flavor during the infusing process. 2.) Grate the zest of the lemons, being careful to grate only a thin layer of the yellow zest and not the white membrane (which is bitter). 3.) Place the water and the sugar in a saucepan. Heat until the sugar dissolves into the water and becomes syrup. 4.) Divide the syrup in two equal portions. 5.) While the syrup is still hot, pour half over the crushed rosemary sprigs and the other half over the lemon zest. Let the rosemary and zest infuse in the syrup for 10 minutes. 6.) Strain the rosemary out of the syrup and then combine both infused syrups. 7.) Juice the two lemons and add the juice to the syrup. *Serve the slushy sorbet in chilled champagne glasses with small spoons. For an alcoholic "slushie," add a few spoonfuls of Limoncello. This could be the best summer cocktail ever! *Another option is to simply refrigerate the mixture and then serve over ice as lemonade. For a special afternoon snack, serve the sorbet or lemonade with lemon-zest butter cookies. This recipe was created for Alice Medrich's Cookies and Brownies cookbook. Medrich trained as a pastry chef at the Ecole Lenôtre in Paris and was the owner of Cocolat, an acclaimed chocolate and patisserie shop in Palo Alto, California. These cookies are simple to make as well as delicious! 1.) In a medium saucepan, heat the lemon juice and boil for about 5 minutes until it becomes reduced. The result should be about 1 tablespoon that is thick and syrupy. 2.) Cut the butter into small pieces and add to the warm lemon juice. Stir until the butter is melted. Set aside. 3.) In a medium bowl, mix the flour and baking soda together thoroughly. Set aside. 4.) In a large bowl, mix the egg, egg yolk and sugar until smooth. 5.) Stir in the butter mixture, lemon zest and salt. 6.) Add the flour mixture and stir gently until incorporated. 7.) Form the dough into a ball and wrap in plastic wrap or wax paper. Chill the dough for at least 20 minutes. 8.) Roll out the dough using two pieces of wax paper. 9.) Remove one sheet of the wax paper, invert and slide the rolled dough onto a cookie sheet lined with parchment paper (with wax paper on top). 10.) Refrigerate for at least 15 minutes or up to 2 days. 11.) When ready to bake, preheat the oven to 400 degrees Fahrenheit. 12.) Remove the dough from the refrigerator and peel off the sheet of wax paper. Rosemary-infused lemonade served with lemon-zest butter cookies! Enjoy on hot sunny days! Happy Summer! I didn't know that making a sorbet could be this easy and it sounds delicious! I llove the star cookies too. Thanks for the recipes (the photos are inspiring too!). Hi Heidi, thanks for your comment! Yes, making sorbet really is that easy! You should give it a try! This recipe is so refreshing on a hot summer day!